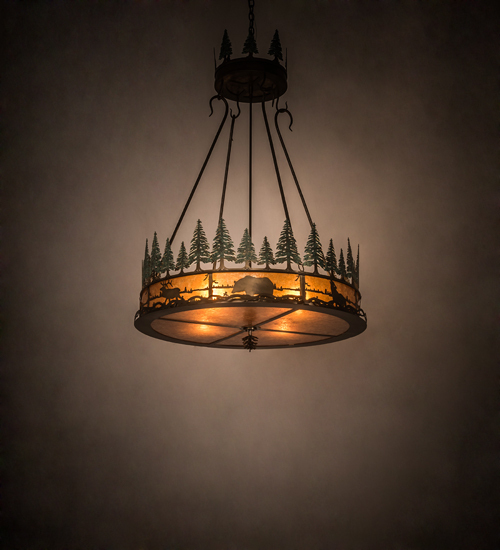 Description: Rustic charm and dramatic wildlife have never been portrayed in lighting like this before. Warm Amber mica shades are trimmed with impressive profiles of bears, elk, moose and wolves meandering around a lake while rings of pine tree silhouettes outline each of three tiers. Handcrafted by Meyda artisans in the Yorkville, New York manufacturing facilities.